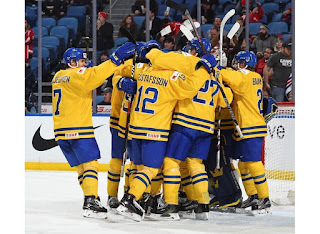 Sweden will face the winner of the Canada-Czech Republic semi-final in the final at 20:00 Buffalo time. The unbeaten Swedes, who finished fourth at the last three World Juniors, now have the opportunity to win gold for the first time since 2012 in Calgary. Their last medal was silver in Malmo in 2014. "We have a big chance, but we’re not going to forget how we got here," said Elias Petersson. "It’s hard work and believing in ourselves." Amazingly, this was the first Swedish playoff win over the U.S. since a 3-0 quarter-final decision in 1996 -- the same year the IIHF instituted the playoff system at the World Juniors. It was a disappointing and anti-climatic ending for an American team that hoped to make history with its first World Junior gold ever on home ice. In the words of American poet T.S. Eliot: "This is how the world ends. Not with a bang but a whimper." For head coach Bob Motzko and the seven returning players from 2017, the dream of winning two straight titles for the first time since Canada’s last five-peat (2005-09) is over. The four previous U.S. golds came in Finland (2004), Canada (2010, 2017), and Russia (2013). "We were all playing for each other, but we didn’t execute," said U.S. defenceman Ryan Poehling. "Sweden did a better job at that than we did." Captain Lias Andersson led the way with a goal and an assist, and Pettersson scored the opening goal for Sweden. Oskar Steen and Axel Jonsson Fjallby had the shorthanded markers. "We played a pretty good game today," said Timothy Liljegren. "The U.S. had home advantage, but we've had a good feeling in the group for a while now. This was our goal all along, to play in the gold medal game." Kieffer Bellows and Brady Tkachuk replied for the U.S., which will seek bronze in Friday's early game at KeyBank Center. Of the Swedes, Bellows said: "They can damage you at all times. They have great offense and superb defense. We played a really complete game, I thought. They came out on top, and credit to them." "Our mission is not done," said Motzko. "We owe it to the future of USA Hockey. This is an important game tomorrow, and we need to honor that and be ready to go." Swedish starting goalie Filip Gustavsson was full value for the victory as the Americans outshot Sweden 31-20. "I think we're meeting the two best opponents, first the U.S. and then Canada," said Gustavsson. "I hope we play Canada to show everyone that we are the best team." Sweden’s only other World Junior gold came way back in 1981. The Juniorkronorna have a long history of icing ultra-talented teams that underperform relative to their potential. But this one could be different. The Swedes came within a hair’s breadth of opening the scoring with their first man advantage. When Andersson set up Alexander Nylander with a cross-crease pass, the puck slipped through Woll’s legs and he barely kept it out with his right pad as he pivoted on his knees. The play was video-reviewed for confirmation. Woll stoned Nylander again from the slot a few minutes later. The U.S. outshot Sweden 8-5 in the opening stanza, and team scoring leader Casey Mittelstadt had the crowd buzzing with a late flurry in the Swedish end. But it was scoreless through 20 minutes. In the second period, with a delayed penalty coming up to the U.S., Isac Lundestrom, who scored twice in the 3-2 quarter-final over the Czechs, was foiled by Woll’s right skate on a mid-period breakaway. However, Sweden broke through on the ensuing man advantage at 13:30. Pettersson’s dazzling snipe from the left faceoff circle beat Woll high to the glove side. It was his third power play goal and fifth overall of this tournament. Nylander's assist on the play tied him with his father Michael Nylander for fourth overall in all-time Swedish World Junior scoring (28 points). "We were just trying to keep our composure and not get too stressed," Nylander said. "Stay calm, play it out, keep going until we won." The Americans botched a glorious chance to tie it on a late-period power play when they got a 3-on-0 break. Gustafsson stopped Mittelstadt, and then Bellows ran into the Swedish goalie, nullifying the man advantage with an interference minor. "We didn’t have good jump," Motzko said. "We didn’t have some legs, and then we were fighting it. We just couldn’t get on track. You have to give Sweden a lot of credit." At 6:17 of the third period, Andersson and Fredrik Karlstrom hooked up to make it 2-0 on an odd-man rush. Andersson sent a sweet saucer pass over defenceman Ryan Lindgren's stick to Karlstrom, and he gave it right back to the Swedish captain to slide into Woll's gaping cage. It was 3-0 Sweden at 7:47 after another odd-man break, this time shorthanded. Steen cruised in off right wing and zinged it high into the net. At 8:25, Fjallby walked into the American zone and used defenceman Scott Perunovich as his decoy, whizzing another high one past Woll. 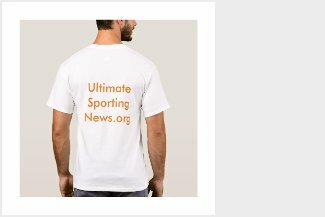 The two shorthanded goals in 38 seconds just fell shy of the record: Sweden's Fredrik Olausson and Roger Johansson scored shorties twice in 36 seconds on January 1, 1986 versus Poland. That was it for Woll, as he was replaced in goal by Jake Oettinger. It was Oettinger's first appearance since the 29 December outdoor game at New Era Field, a 4-3 win over Canada. "We failed Joe tonight," said Motzko. "Joe didn't fail us." On the power play, Bellows cut the deficit to 4-1 at 12:24 with his team-leading seventh goal, converting Kailer Yamamoto's beautiful backhand feed from behind the net. With 3:01 left, Tkachuk gave his team life when he roofed a rebound to make it 4-2. With Oettinger pulled for the extra attacker, the Americans got their chance to tie it up when Tim Soderlund was sent off for holding. The defending champs generated pressure, but couldn't beat Gustavsson. Yamamoto was shaken up with seconds to play and was helped off the ice by his teammates. The Swedes took one more penalty for delay of game as Glenn Gustafsson put the puck over the glass. And then it was all over. "We did a great job, especially on the PK," said Jesper Boqvist. "We played hard for 60 minutes. We met the U.S. before the tournament and lost, but you can see we're a much better team now." The three best U.S. players of the tournament were announced: Adam Fox, Kieffer Bellows, and Casey Mittelstadt. For Sweden, it was Rasmus Dahlin, Alexander Nylander, and Lias Andersson. The Americans wore the same Buffalo Bills-style jerseys they sported in the 4-3 comeback win over Canada in the outdoor game. Bills legend Thurman Thomas performed the ceremonial faceoff. The U.S. has had Sweden’s number at the World Juniors in recent years. Their record over the previous 10 meetings against Sweden was nine wins and one loss (a 1-0 preliminary defeat in 2016). That includes victories in the 2013 gold medal game and the bronze medal games of 2007, 2011, and 2016. But that history provides scant consolation for the hosts now.